Not an official club event or anything but this is open to anyone who would like to go. Just buy your tickets and we will meet you there! Post if you are going and we can discuss a lunch meetup before or after! I don't have any real plans for this yet, just an idea. 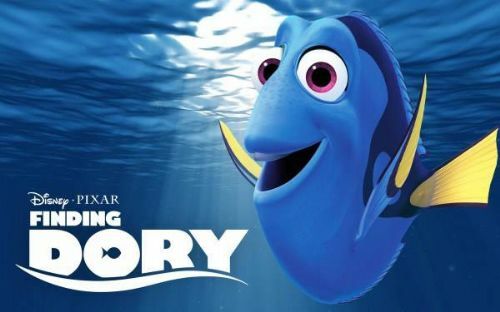 Would people be up for meeting to see Finding Dory at some point when it's release (maybe that Monday or Tuesday after it's release date). We all would get our own tickets at a set theater and time and then maybe dinner after? Just thought it would be a cool event idea. Right now I just wanted to see who is interested or if there are any ideas? Has it really been like 15 years since we did this with Nemo? We should look into renting out a showing. That would be awesome but I am going to let someone else plan that! Did WMAS rent out a theater for Nemo? That is awesome! I haven't heard much on dates and times. I am trying to see if I can book the Monday or Tuesday after the movie comes out (6/20-21) but it's not open to book and the site was down this morning. The Jordan Commons has a lot of seating for the 1pm Sunday 6/19 showing. It's their better theater. I am going to book for those seats soon unless I get a bunch of other suggestions. It would be open to anyone to come (just book your own ticket) and if we do get some I will organize a quick bite after. I am going to book my tickets on Saturday if I don't hear from anyone. Let us know when/where you get your tickets and Theresa and I will join you for sure. About 95% sure it's going to be Sunday at 1pm - Jordan Commons, I will let you know. I plan to buy tomorrow. I booked Sunday the 19th at Jordan Commons Megaplex for 1pm showing! Hope to see some WMASers there! We've got our tickets as well. This should be fun, we're looking forward to it!